ReelStunts was formed by Terry in 1986 after becoming a full member of the British Stunt Coordinators register. Providing first class services to the stunt industry for film and television around the world. With extensive experience credited over the last 30 years ReelStunts Inc goes from strength to strength. 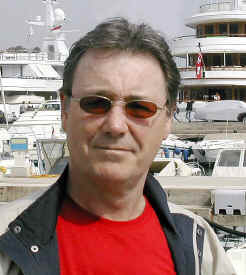 Terry is renowned for safety of the actors, performers and crew that come under his care holding a 100% safety record. Terry is also experienced with Blue/Green Screen and CGI. This website gives information about the history of Terry, Reel Stunts Inc and contact information. Terry can be contracted as a Stuntman, Stunt Coordinator and accomplished Actor.